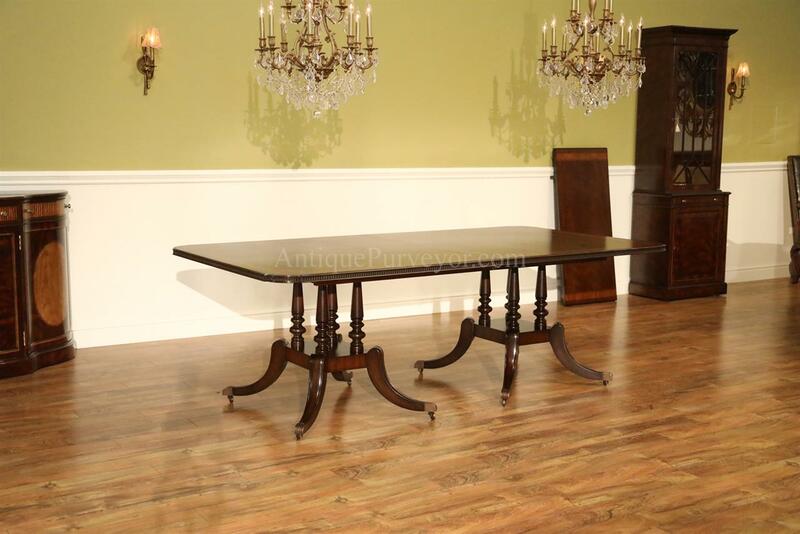 Description: Unique 90 inch mahogany dining table on large birdcage pedestals. 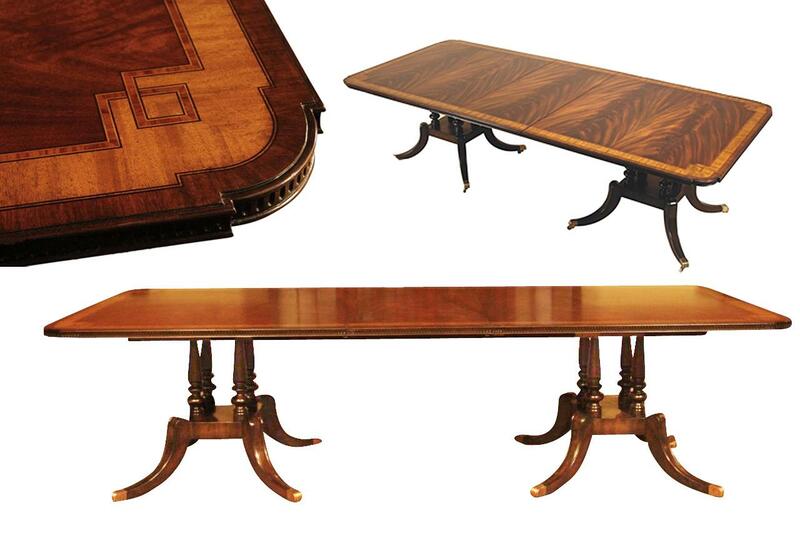 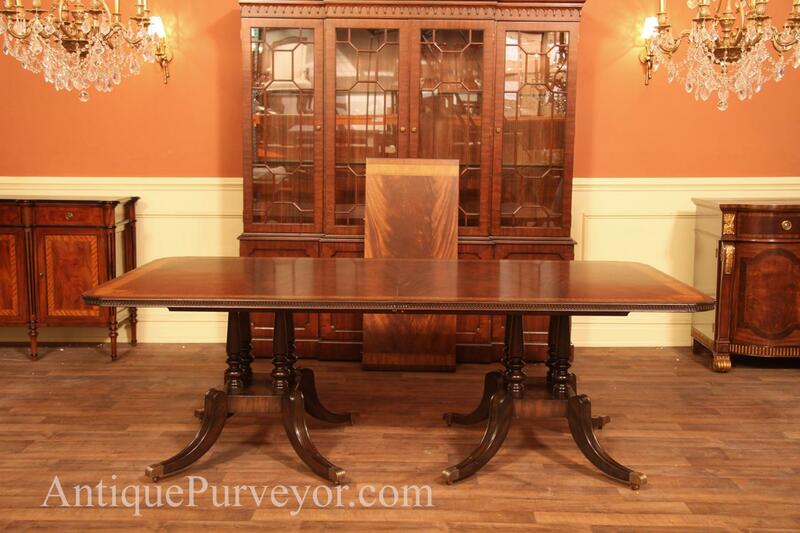 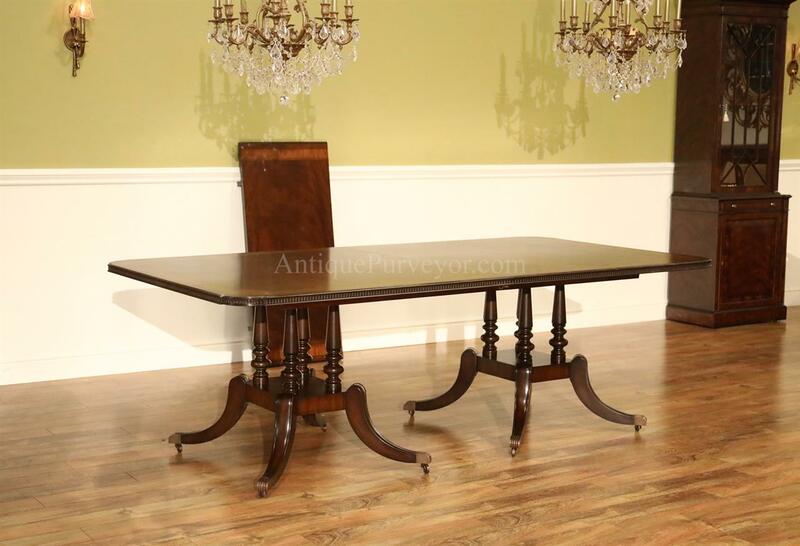 This double pedestal dining table will easily seat 8-10 people, and 12 people family style. 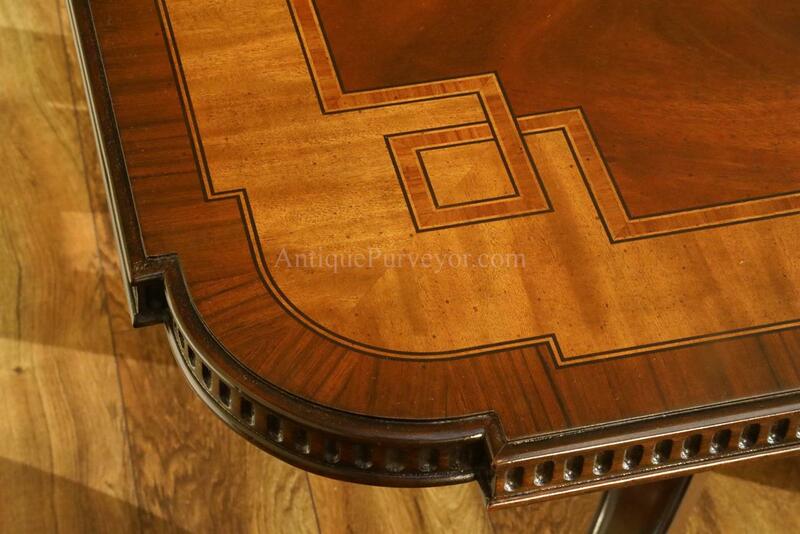 This table has cut corners and an attractive barrel shape concave detailed edge which will coordinate with architectural elements you may already have in your home such as dental molding. 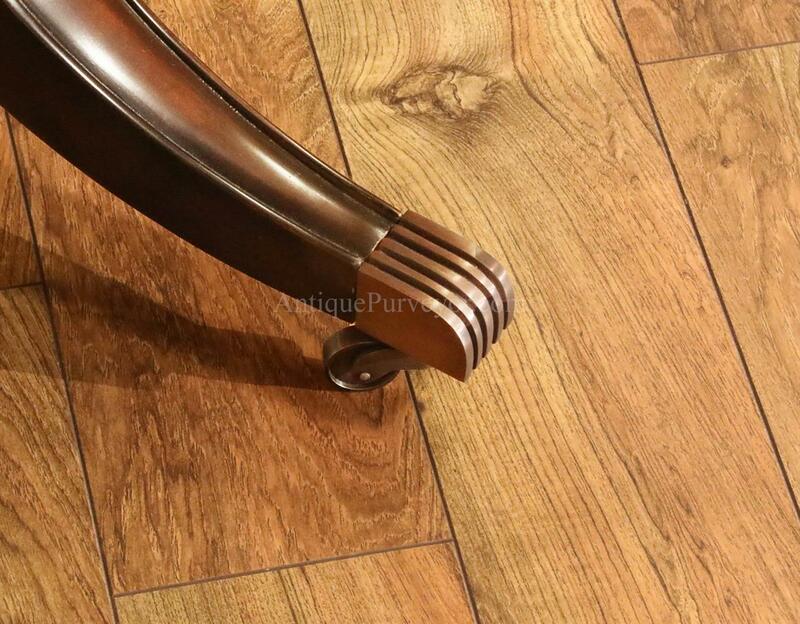 This crotch mahogany field features a matte finish which makes this another great choice for active families. 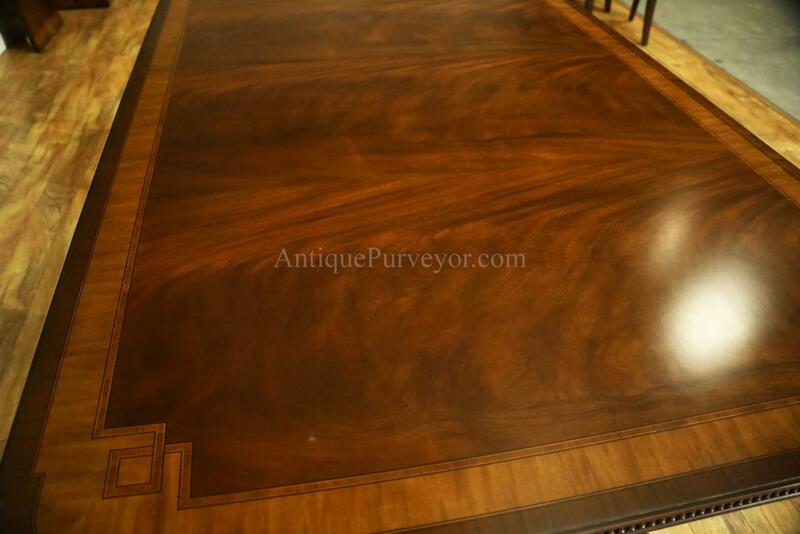 This finish will not be nearly as fussy as buffed finishes so you can live with less fear of your kids or company ruining your finish. 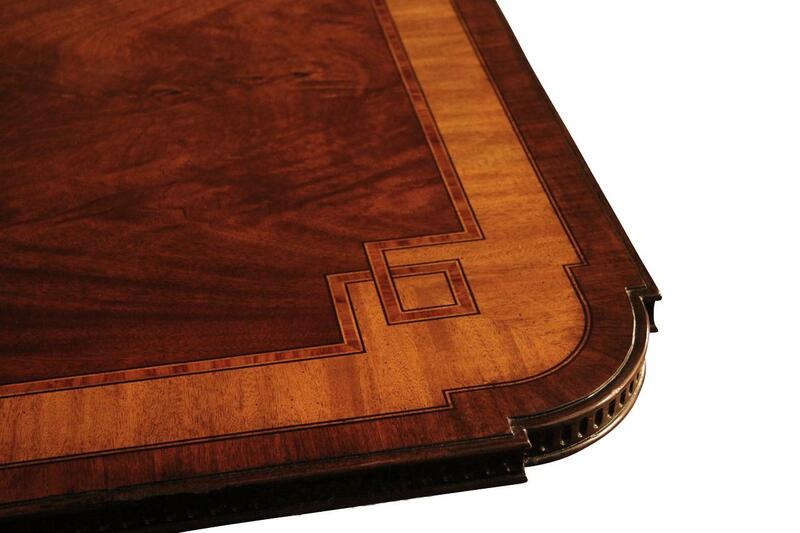 By request, and with 6 months lead time, we can also build this table with 2 and 3 leaves for extra money so if you love this design but the table is just too short, let us know. 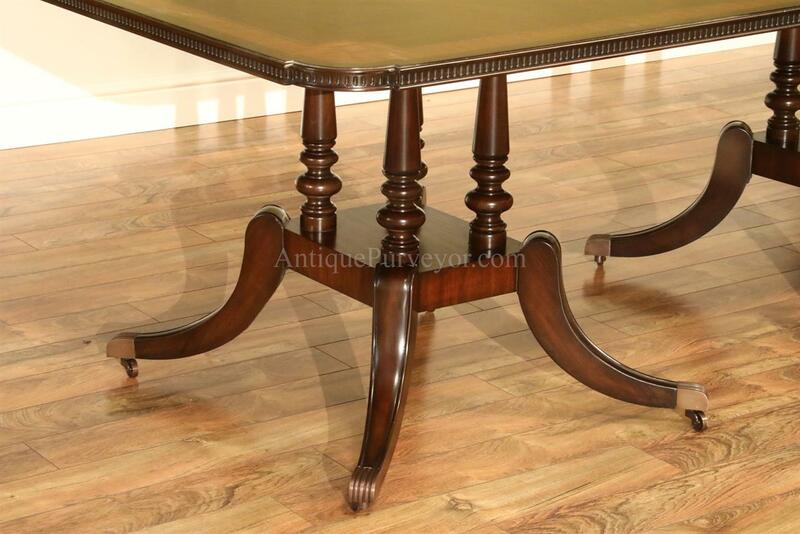 This is a very sturdy table because it sits on two large profile birdcage pedestal which have 4 columns each for support. 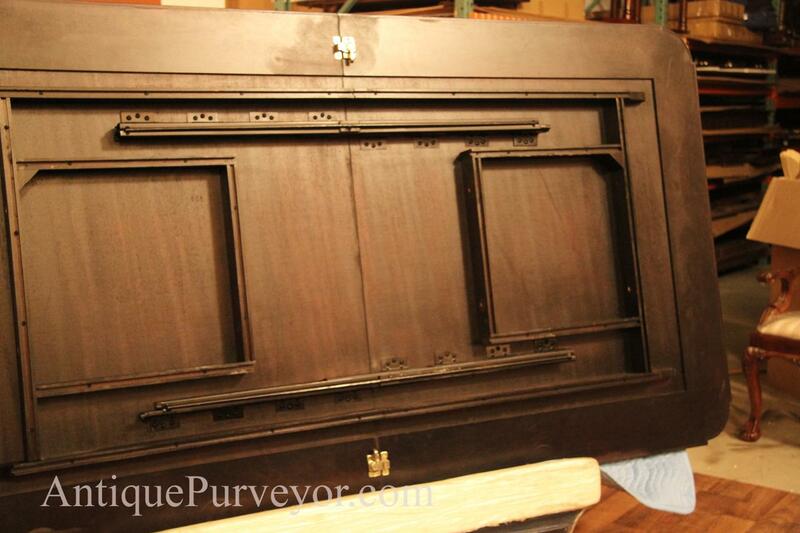 Look at the pictures we have included to see the fine construction. 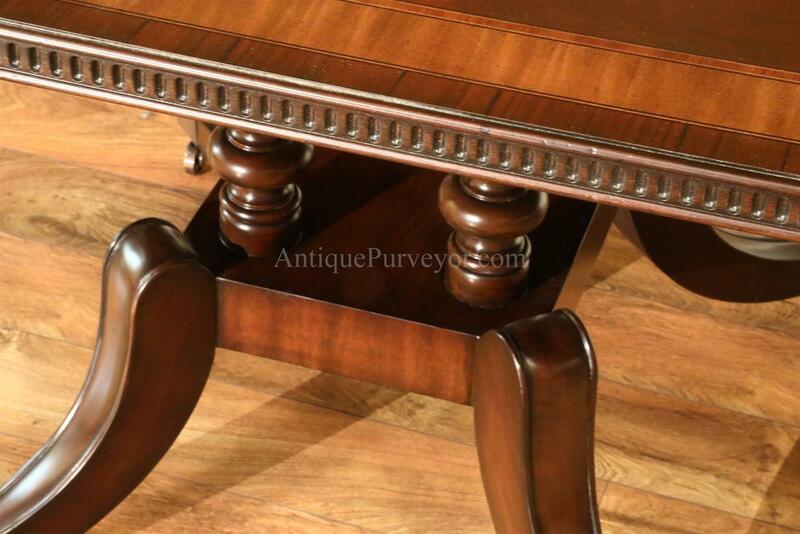 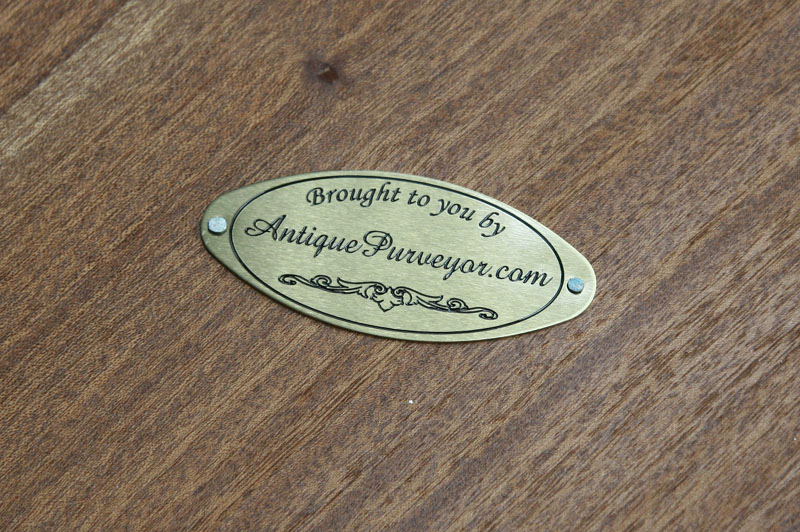 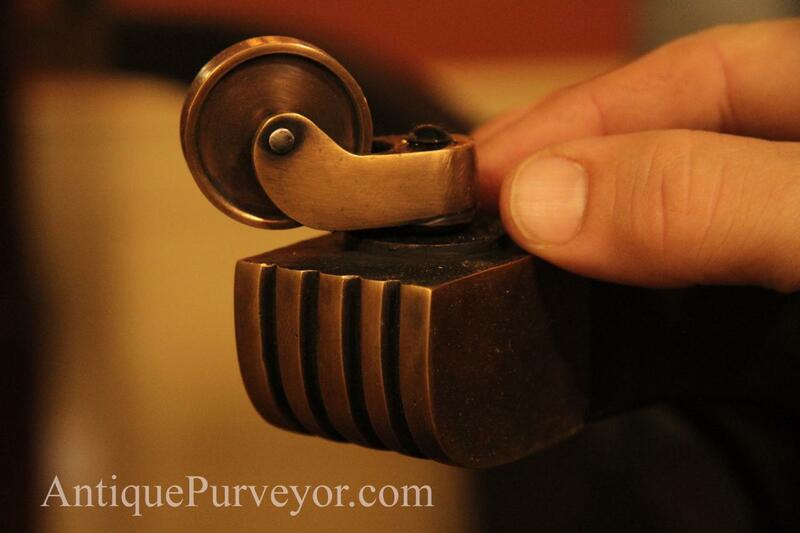 The pedestals have brass casters, so adding or removing the leaf is easy.